Whyatt Accountancy are an accountancy and business advisory practice, based in Stockport, Greater Manchester. They service the needs of small businesses and individuals. 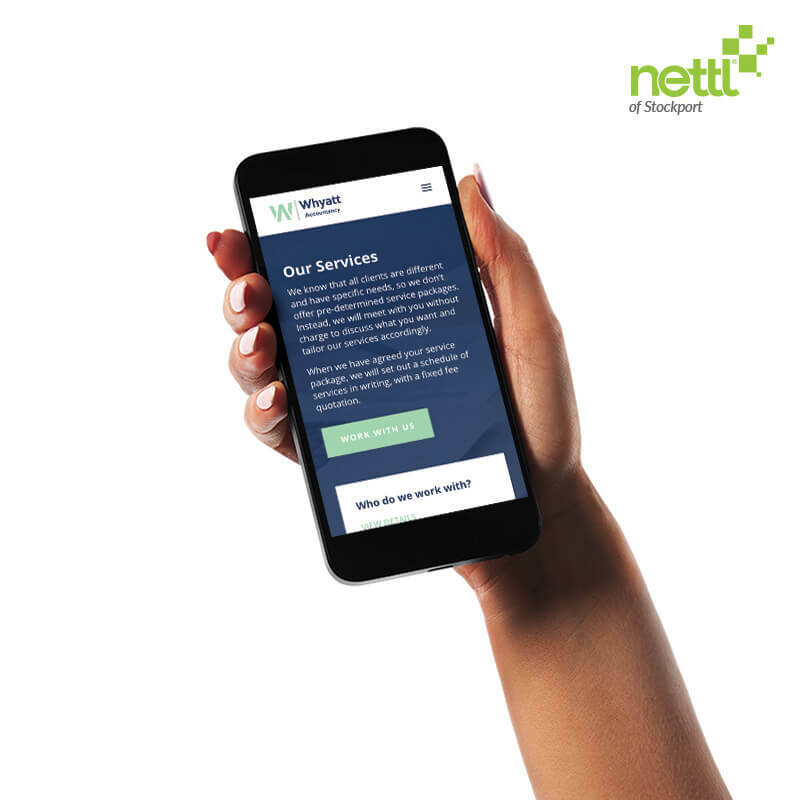 Nettl of Stockport’s challenge was to create a visual identity which was connecting, empowering and inspiring. 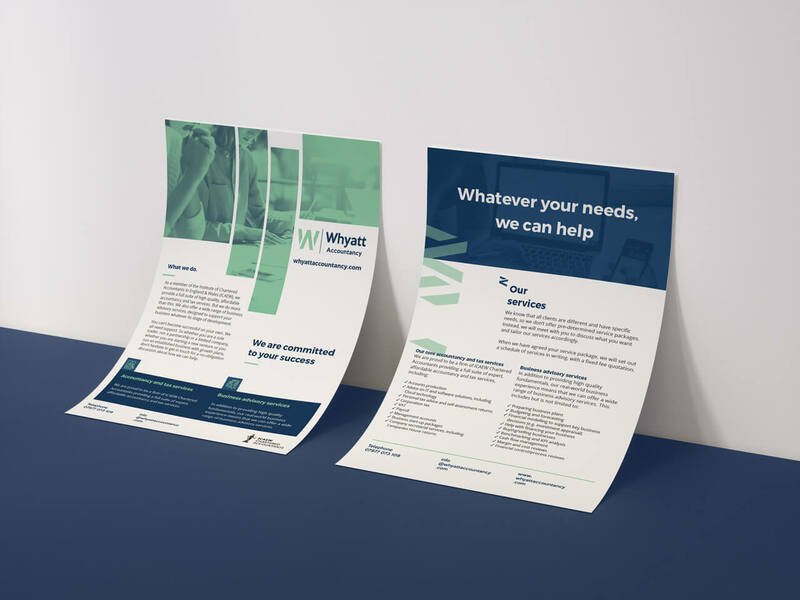 Working closely with Whyatt Accountancy, we developed the branding and print collateral which followed common design themes and paired bright and dark tones. 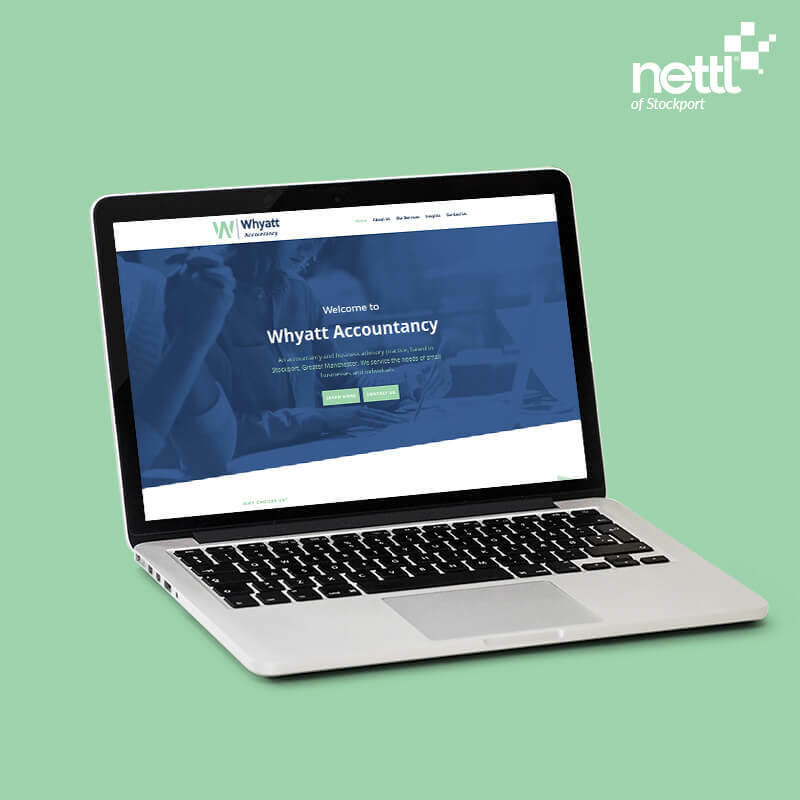 This branding gave us a great template to create a brochure site which clearly explains the services and qualities of Whyatt Accountancy and how to get in contact to book an appointment. 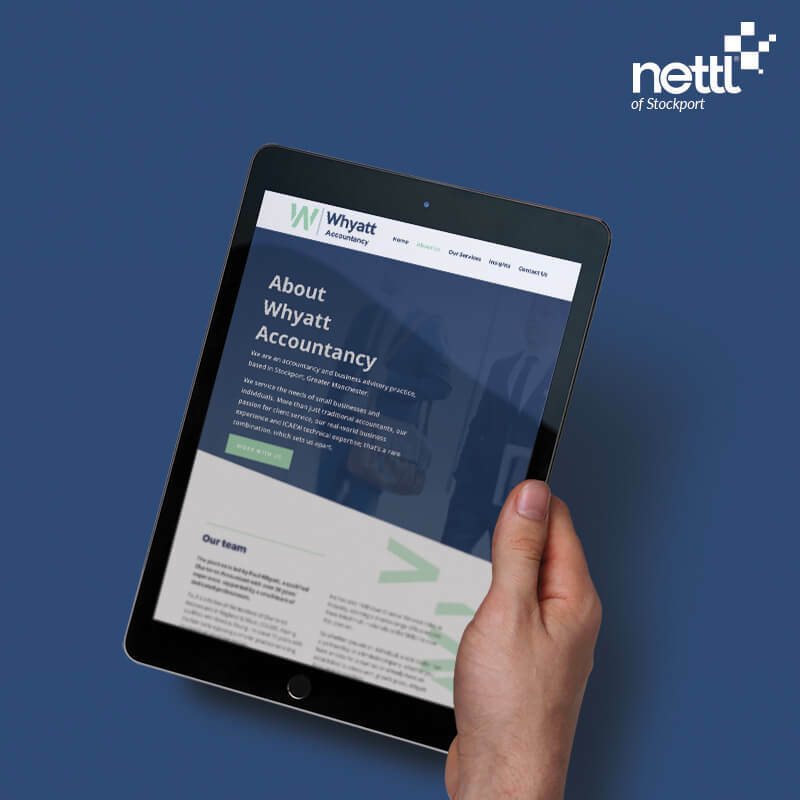 Nettl of Stockport developed this website with a ‘CMS’ which allows Whyatt Accountancy to edit and add blog posts.